Nueva edición del libro más vendido que puede cambiar vidas—¡Más de un millón de copias impresas! Discover simple yet powerful steps you can take to overcome emotional distress—and feel happier, calmer, and more confident. This life-changing book has already helped more than 1,000,000 readers use cognitive-behavioral therapy—one of today's most effective forms of psychotherapy—to conquer depression, anxiety, panic attacks, anger, guilt, shame, low self-esteem, eating disorders, substance abuse, and relationship problems. Revised and expanded to reflect significant scientific developments of the past 20 years, the second edition contains numerous new features: expanded content on anxiety; chapters on setting personal goals and maintaining progress; happiness rating scales; gratitude journals; innovative exercises focused on mindfulness, acceptance, and forgiveness; new worksheets; and much more. 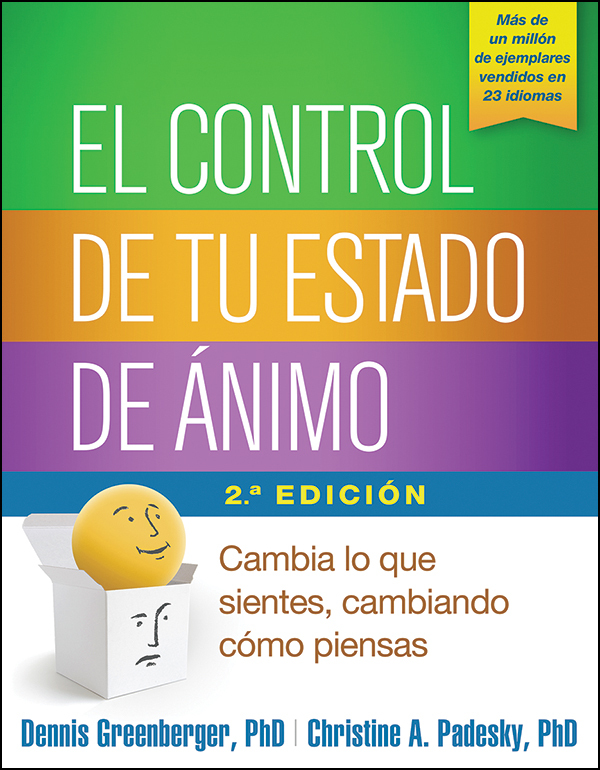 See also the English-language edition: Mind Over Mood, Second Edition: Change How You Feel by Changing the Way You Think.